“My dad’s strong” was the ending dialogue by a cute little angel in Complan’s advertisement almost a decade ago. Children have been used in advertisements since time immemorial. Children have been used to aid in more than “just effective communication”, but to have a considerable share in the hearts and minds of the viewers. The power of using children in ads have been exploited by advertisers from time to time as the emotional attachment in the indian value system places more emphasis on the family, which primarily revolves around the child. If we research the adverts by the different firms over a period of time, it would be clear that there is a trend. Sometimes a success of an ad leads to another me-too kind of ads. The current trend of rising advertisements using children can be very well noticed from the ads used by Reliance Digital to the ads by Ingersoll Rand. Children have been normally used in ads to evoke and attach an emotional value to the ads. Ads are all about emotions, and using children gives an easy approach to get this done. Quoting my father, whenever he used to get upset of me “Whatever I am doing is for you and whatever I am earning is for you only….” (some words have been censored to keep the author in a better image:) ). Jokes apart, Indian value system revolves largely around the family and especially around the kids. Attaching emotional quotient to advertisements is the prime motive in most of the advertisements. Unless the EQ level is hit with the right impact the advertisements may not yield desirable results. Research has shown that these ads also have a higher brand recall. Product brand recall is very much essential to increase the probability of a prospect researching on the product and increasing the possibility of conversion into a buyer. This is especially essential in items which are high involvement purchases and in products where there is only little differentiation. Insurance plans are one such product where the possible differentiation is visibly less. The child education plans initially used to have advertisements showing the different features attached to the product. This was in the initial stages of the lifecycle. After the level of differentiation slowly started reducing, they shifted to showcase the parents love for their progeny, and after sometime now the children have become the protagonists. SBI SBI ad, Tata Capital Tata, LIC LIC are some of the names in the financial product category which have been regularly leveraging child-like emotions and children to evoke beneficial responses. The product differentiation is very much reduced in this market. Hence attaching emotional value plays a significant role. But children and the child-like emotions, mind it not childish, have been utilised in many famous ads from the Tata Nano to Nivea. Even though the purposes are not just to create an emotional moment of parity, but also to evoke the memories attached with our childhood moments and some other features, to which everybody gets easily hooked. For example, Nivea and Pears use children to evoke a comparative response with the skin of a child. Voltas has been using children to attach an emotional value and simultaneously conveying a message to avoid clutter in the AC category which usually has actress or by just displaying a new technology of air conditioning. Using children as protagonists in advertisements has become a fad. 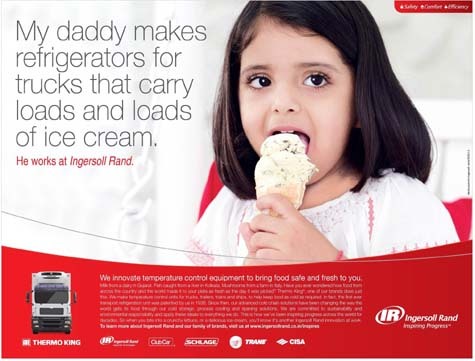 The recent lavishly spent advertisements by foreign major Ingersoll Rand using the pride of the child in having her dad working for the company as the main theme is a proof for this phenomenon. The advertisers are using children to hit the right spot ringing and to get them converted to suitable responses from the target audience- the parents. The influencers are the emotional attachment with the child and the deciders are the Parents. The advertisers have been using the influencers to take the effectiveness of the ads northwards. Can we go M’AD’ ? 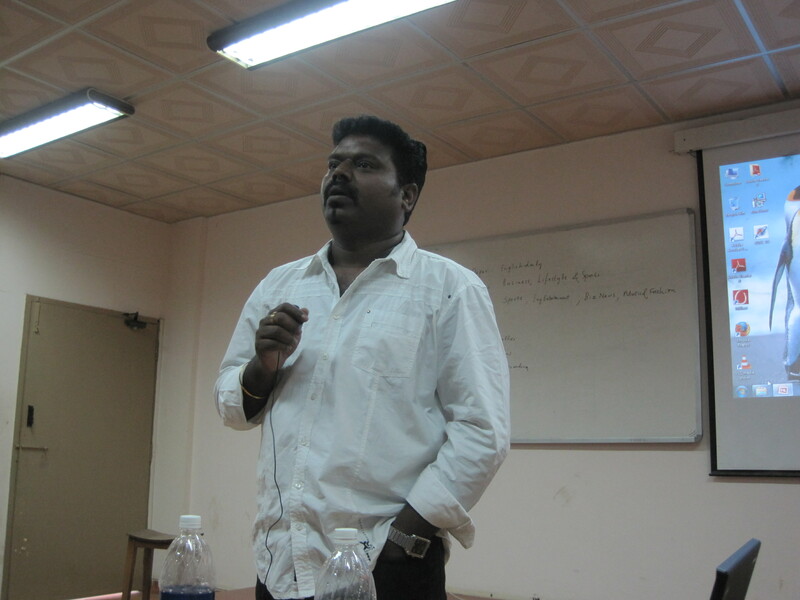 Yes… My entire class went mad about ads when Mr.Sashi, Founder & Director – Praanha Advertising, took the students through a complete journey on advertising in Indian media. The entire process right from the creative brief to the actual shooting of the advertisement was discussed in a very interesting fashion. The class was thrilled to work on a live case encompassing all the stages of ad development – account planning, concept – story board, product choreography, the visual recall devices, brand perception stimulants and we even designed the entire media mix for the product we worked on. It was indeed both and enriching experience to work on how to communicate our objective effectively within a stimulated budget. We learned the nuances of the advertising in Indian television, how to calculate the division of slots, the effectiveness of the number and position of slots and even the buying pattern of slots in Indian TV. So I am sure few of my class mates will go M’AD’ after this session..!! Wanted – created or alive ? For decades, famous personalities have attached themselves to big brands but in some cases brands have created personalities. These non- living personalities have not only marketed the brands admirably but they have become the brand ambassadors themselves. The charm of these ads lies not only in the content but also the creativity of the makers who have kept true to life. The impressions they left on the viewers have made them larger than life. Here is some of the famous and most creative non-living personalities ever created…..
I’m a Barbie girl……..in the Barbie world ! 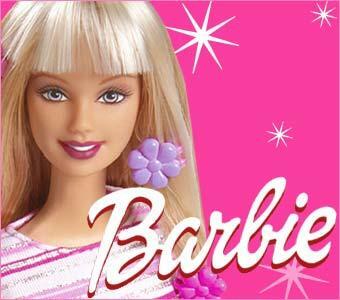 Barbra Millicent Roberts a.k.a Barbie, the fashion doll is one of the most selling toys of the century. After getting inspired from a German doll called Bild Lilli; Ruth Handler (co-founder of Mattel,Inc) invented Barbie and launched in 1959.To date, over 70 fashion designers have made clothes for Mattel, using over 105 million yards of fabric.For 50 odd years the fashion diva has managed to keep her fan following intact. Wild wild west – Smokin’ guns !! The most influential brand image of the century, the Marlboro Man stands worldwide as the ultimate macho man, helping establish Marlboro as the best-selling cigarette in the world. It transformed a feminine campaign, with the tagline “Mild as May”, into one that was masculine macho one “delivers goods on flavor”, in a very short span of time. 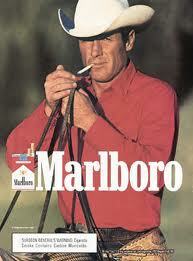 The sales went up sky-rocketing.Even those who dislike the tobacco industry will agree that the Marlboro Man has had unparalleled success as a global marketing tool. 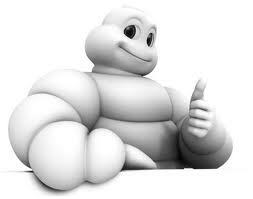 Bibendum – The Michelin Man, cuddly mummy-like creature is the mascot of Michelin tyres since 1898 . First created by imagination of Michelin brothers and paintbrush of talented poster artist O’gallopin alias MaruiusRossillion, it was an immediately great success.Today, Bibendum is one of the world’s most recognized trademarks, representing Michelin in over 150 countries. It’s a bird……it’s an egg…..no it’s zoozoos ! During the Indian Premier League Season 2,somethingother than cricket also captured the attention of the audience. 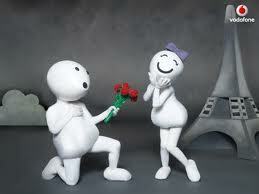 The cuddly white creature with ballooned bodies and egg heads called ZooZoos were a hit among the Indian audience. They were used to promote various value added services of Vodafone. The ads were created by RajivRao and PrakashVarma of Ogilvy & Mather, the agency handling Vodafone advertisements.There are more than 200 pages on Zoo Zoos having over 200000 fans, growing daily. Vodafone received the first People for the Ethical Treatment of Animals (PETA) 2009 Glitterbox Award, for replacing the Pug with more humane alternatives in their ads. Her wit,unique style of exploring current affairs and sense of humor has always been a subject of fascination. This chubby Amulbutter girl in polka dotted dress has won everybody’s heart.In 1966, Sylvester daCunha, then M.D of the advertising agency AS designed an ad campaign as series of hoardings which later earned aGuiness world record for the longest running ad campaign in the world. They needed someone to touch the housewife’s heart and what better way than a cute little girl? And so the Amul moppet was born. GCMMF became a billion-dollar entity in March 2007 when the naughty turned forty. 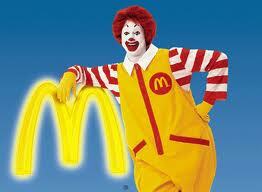 Ronald was first introduced by McDonald’s Washington franchisee Oscar Goldstein and a local ad agency in 1963.Ronald McDonald is a clown character used as the primary mascot of the McDonald’s fast-food restaurant chain. He is a popular figure among children.He demonstrates one of the important qualities of a brand icon- He doesn’t sell for McDonald’s, he is McDonald’s.